Chickens were among the first of our animals on the farm, given as a gift from some dear friends. Over the past three years we very much enjoy keeping chickens and eating our very own farm-fresh eggs. One thing is for sure though! Their laying cycles are both intriguing and frustrating. Due to predators and some unknown reasons, we have cycled through a number of chickens, but we still have one trusted layer left from our original batch. It is very fun to watch our chickens from day-to-day as well as finding their eggs. What gets frustrating is that for what seems like to explainable reason, all egg production stops – from all of them. After a considerably long break from finding eggs, we began wondering if there was something wrong. We do realize that their egg laying is cyclical, but were surprised when all of them seem to stop at the same time. We haven’t really kept any records on these cycles, but decided it is a good idea to start doing that. The ability to look backwards and see the cycles and also perhaps identify reasons for their breaks would be very helpful. We searched online to see if there were any ready-made egg-laying charts, but weren’t really satisfied with what we found. So, we did the next best thing…we created our own. That is, after all, the homesteader’s way. With this experience in mind, it may just be possible that others of you out there may have been looking for the very same thing. We’ll save you the effort and share ours with you, right now…for FREE! Working on the homestead is most often less of a chore and more of a blessing. To know that every ounce of work you put into YOUR place is yours to keep. Add to that the chance to be outdoors enjoying your little piece of heaven and there is little better enjoyment in life. When it comes to giving a gift to the man of the homestead, it may seem difficult to know just what he wants or needs. I can tell you from experience that there is plenty of need for new or replacement tools and you shouldn’t worry much about getting him something he already has. When it comes to tools and equipment, nothing lasts forever on the homestead and a backup always, and I mean always, comes in handy. I could list far more than 10 items on a man’s homestead wish list, but if I truly had to narrow it down to 10 things, these would (and are) on that list. Working on a homestead often involves maintenance in locations too far from your home or other sources of electricity. In many cases I actually prefer powerless hand tools, but there are times when cordless power tools can be very helpful. Repetitve jobs and time constraints make the cordless power tool a handy item to have in your toolbox. I don’t own this particular set, but I do own the corded version of the Black+Decker Matrix and really enjoy the versatility of a variety of attachments. There is no counting how many times I’ve run across something that needs fixed or mended while working on something else, only to discover that the tool I really need is back at the house. Carrying a heavy toolbox around the homestead is not a reality I experience, but a well stocked tool belt can reduce time spent going back and forth to the house for a screwdriver or hammer. It doesn’t take long to realize that muck boots are an absolute essential piece of homestead gear. The very first time your regualar boots get stuck in the mud or you, um, track that mud into the house, and you’ll recognize the need. Muck boots typically slip on and off with ease anyway, so they are extremely convenient when you have to run outside for a second, or if you have a day’s work ahead of you. Homesteading is a dirty business. I can’t think of a single chore that doesn’t somehow mar my clothes with a spot of mud here or a stain of something there. Not to mention working in the woods surrounded by poision ivy. The difference between overalls and coveralls is pretty much a personal preference, but if I am going out to do something that I know for sure is going to be a dirty job, I prefer coveralls. Okay, here is a choice that can cause hours of discussion, especially here in Texas. Every Texas homesteader knows something about barbecue and a piece of land without some sort of grill or smoker is wasted space. A homesteader without a good strong knife is like a zebra without stripes. Pocket knives are a good tool to carry, but I have found them to be too small or awkward for some of the jobs I need a knife for. There are any number of quality fixed blade knives out there today, but I really love my Morakniv Craftline. It’s bigger than my pocket knives, but smaller than a machete and is a very strong and versatile tool. The stars may be bright deep in the heart of Texas, but they typically are not bright enough to work by. They are certainly not bright enough to find a stray animal or to tell if that noise in the bushes is an armadillo or a skunk. Flashlights are handy, but I have found that when I am outside after the sun goes down, I usually need both hands free. Modern headlamps are bright and last much longer than any nighttime job I have needed them for. I have no idea where you live, but on our homestead we never go outside in the summer without a good hat on our head. The sun can do a lot of damage in a short amount of time and your scalp is one of the last places you want to experience a sever sunburn. Sure the cowboy hat is king in Texas, but I have found my cowboy hats to be in the way or get knocked off easily when I’m working in the woods. I have found that I very much prefer a vented bucket hat when I’m out on our homestead. Gloves are everywhere and every homesteader has a pile of them somewhere. But chances are that one of this pair is missing, one of that pair has a dozen holes, and that pair, well, what is that smell? Leather gloves are great during the winter, but during the summer when it’s 100 degrees outside, I don’t know about you, but I need a glove that can breathe AND handle whatever I throw at it. Having more pairs of gloves than you think a person needs is never a bad idea. So here’s my list. Would you have a different list? I’d love to know what is on your Top 10 gift list for men on the homestead! 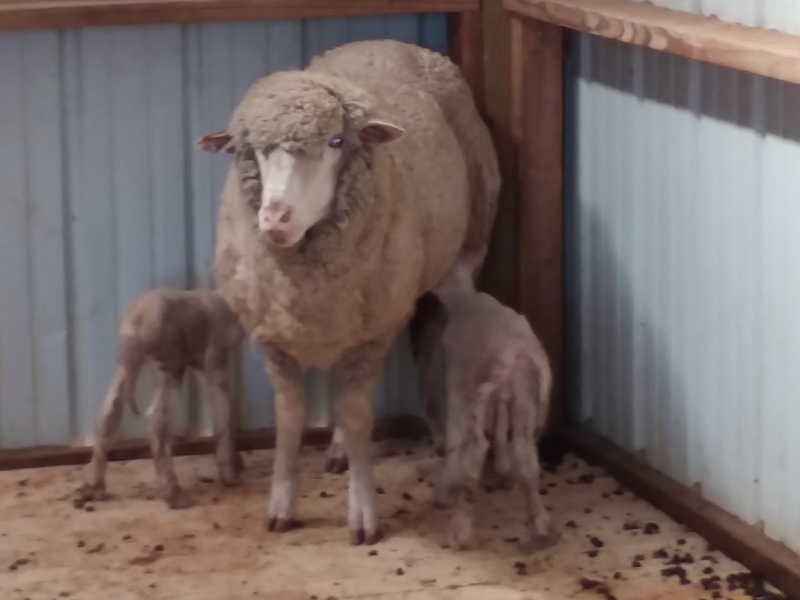 2018 was our second shearing season and we took the opportunity to learn more about our wool. We sent off samples for each animal and were thrilled with the results. Rather than trying to process the wool ourselves this year, we had it processed by the great folks at Independence Wool. 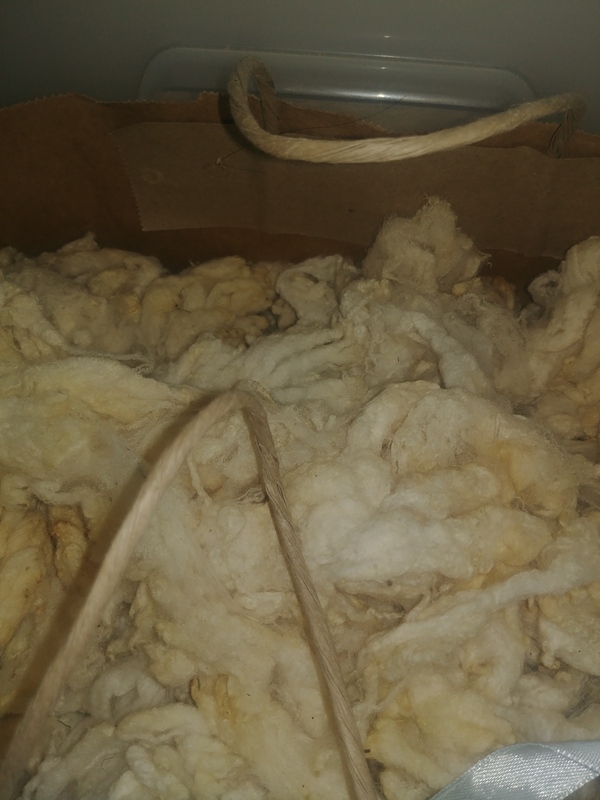 We did a considerable amount of skirting the wool by hand prior to handing it off and were rewarded with the report from the mill that our wool was not considered to be exceptionally dirty with seeds and other “vegetable matter”. 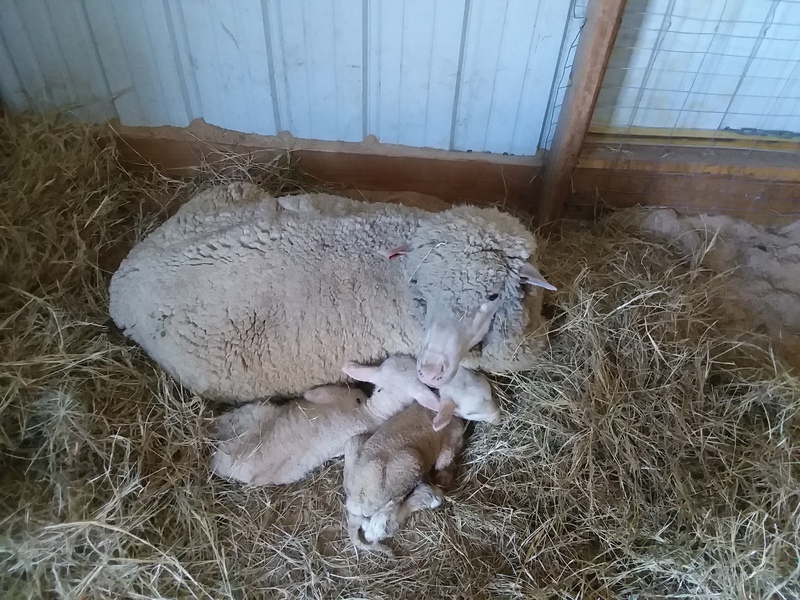 We did learn that we should probably let the wool grow a little longer before the next shearing as well as add a little more than our usual amount of supplemental feed. 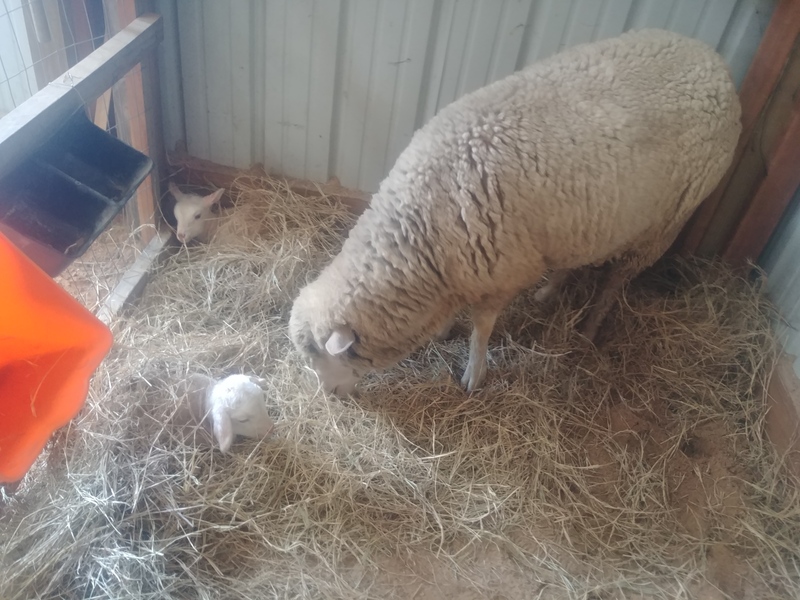 Our final lesson from the mill was that even with all our precautions and care for the sheep, their sleeping on our sand floor in the barn creates a process problem for the mill. They showed us a pile of fine grit and sand that came out of the wool (after washing) in the carding machine. 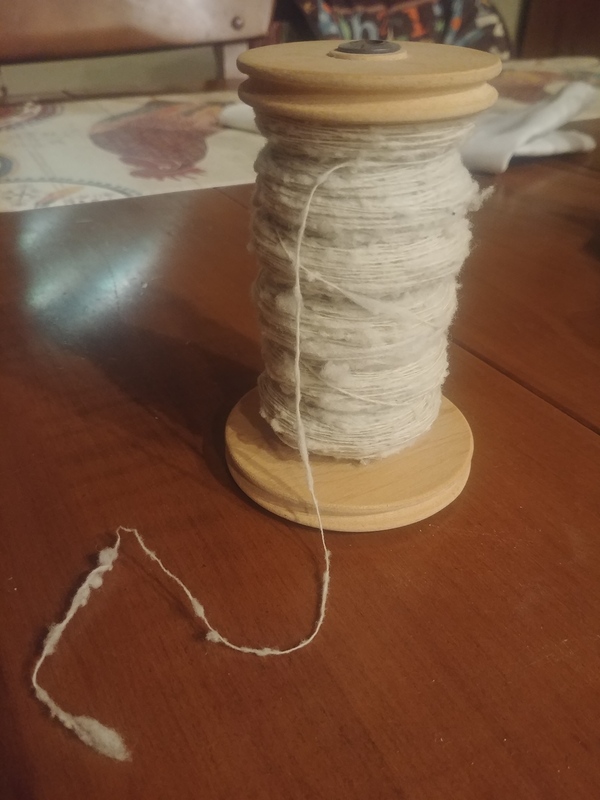 It is too late in the season for us to make changes that will fix this for our 2019 wool, but there are things already in the works to help with that issue (Stay tuned!). 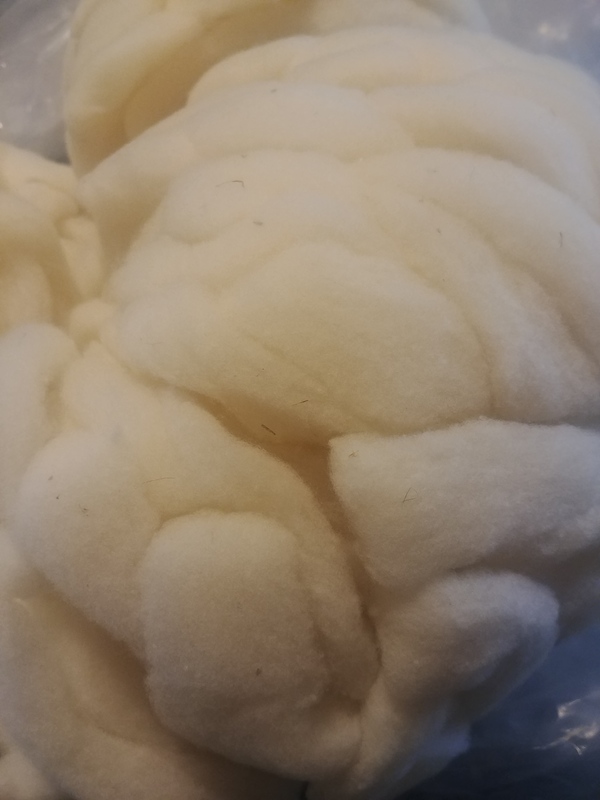 Our shearer did a great job and as a result, this years wool has far less “slubs” or lint and was cut much more evenly. It is processed into semi worsted roving and the prices reflect the lengths and micron count.